Yellowstone Lake is the largest lake in North America above 7,000 feet in elevation. It’s also a lake with lots of beautiful scenery, interesting history and is next to some of the most remote wilderness in the lower 48 states. With 132 square miles of surface area, there is plenty to explore-for guests and employees both! 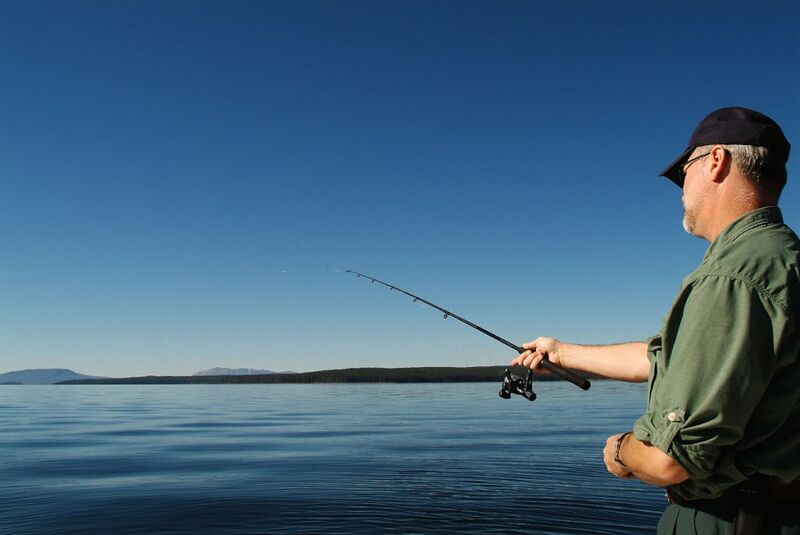 If you think Yellowstone Lake is beautiful from the shoreline, you’ll really love being out on it: whether it’s a Scenicruise, guided fishing, shuttling visitors to a backcountry hike or campsite, or renting a boat or dock slip. Why Choose a Marina Job in Yellowstone? You are an all-weather worker who enjoys being outdoors. The marina remains open in all weather: sun, rain, snow, etc., and you must be comfortable working outside in all conditions. You enjoy a scenic commute. Bridge Bay marina employees live up to 3 miles away from the marina and many enjoy biking to work. You are a people person. All positions at the marina are high guest contact positions. The goal is to keep guests safe and provide a high level of guest service. Plus, you get to meet guests from all over the world! You enjoy being part of a tight-knit team of people that love being on or around water. Fun Fact: Every season 18,000-20,000 guests ride on our Scenicruise tours! Yellowstone Lake’s Bridge Bay Marina is the only marina in Yellowstone National Park. Daily activities include 41-passenger Scenicruise tours, Guided fishing/sightseeing tours, backcountry shuttle excursions, motorboat rentals, and dock slip rentals. Interested? There are a variety of positions on our Marina crew to fit what you are looking for. The Dock Hand position at Bridge Bay Marina is a very physical job involving extensive guest contact. This position is responsible for assisting and orienting the guests who rent the motorboats. 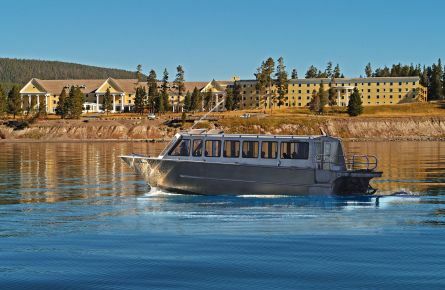 While safely piloting the 22’ Grady White charter fishing boats, the Fishing Guide will provide guests with a great fishing experience and interpretation on Yellowstone National Park. Our guides spend time with guests from all over the world and need to possess excellent teaching, communication, and guest service skills. This can be a very fast-paced position and attention to detail is paramount. Our cashiers work closely with guests from all over the world. We offer up to seven Scenicruise tours a day. Each tour is required to have a United States Coast Guard (USCG) certified Captain on board. While one Captain pilots the 41 passenger boat, the other Captain (Mate) gives a highly interpretive and entertaining tour to the passengers.